Fang, the developer should bring you on as a consultant, pay well and pay attention. Frankly, the men who started this development company would have embraced your concepts readily, in their early maverick days. Hopefully gets some good places and even new to area. It just make the most sense in the long run. When a shopping center has failed, it's because it doesn't have enough customers nearby. 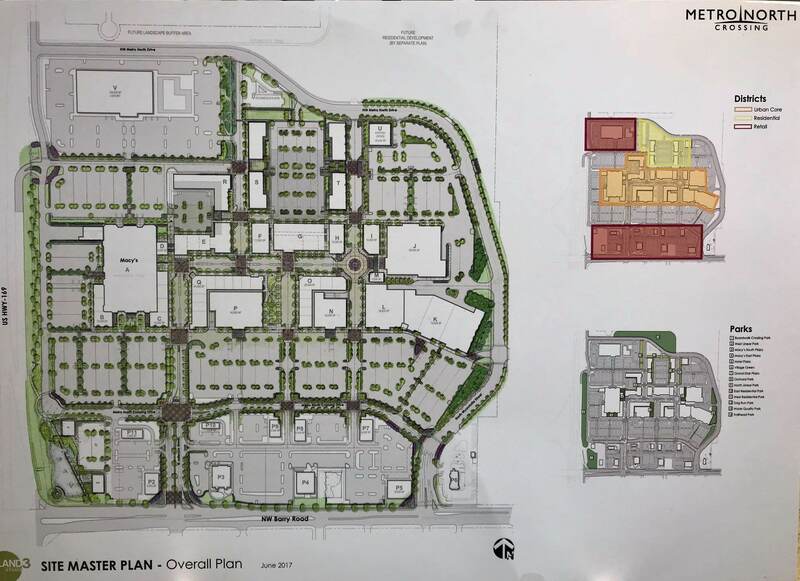 Instead of trying to compete with every new shopping center in the area, and there will be more of them over time, it just seems prudent to place as many residents on-site or nearby as possible in denser settings. I would say for the most part, people don't automatically want to drive very far to meet their basic needs. Seniors especially want to live near where they shop. You want a built-in customer base for your retail. When one looks on Google Aerials of the area around Metro North, it's obvious there was never enough density to support the retail segment long-term. Even where neighborhoods exist, they aren't dense. There are two few single family homes, and in many cases, they are on too large lots. Too much emphasis was placed on single family houses. There isn't enough mutli-family housing nearby. If I were sitting on the City Council, and the developer was asking for city incentives to redevelop this property, I would be asking them why there isn't more emphasis on creating a lot more on-site housing. The reason the Plaza has faired so well for so many decades is because it's surrounded by a lot of people. It has good established neighborhoods, as well as a lot of apartment buildings around it. It is a high quality environment, and Metro North developers would be wise to think about that when drawing up their plans. The property needs to be distinct and have good architecture and landscaping. 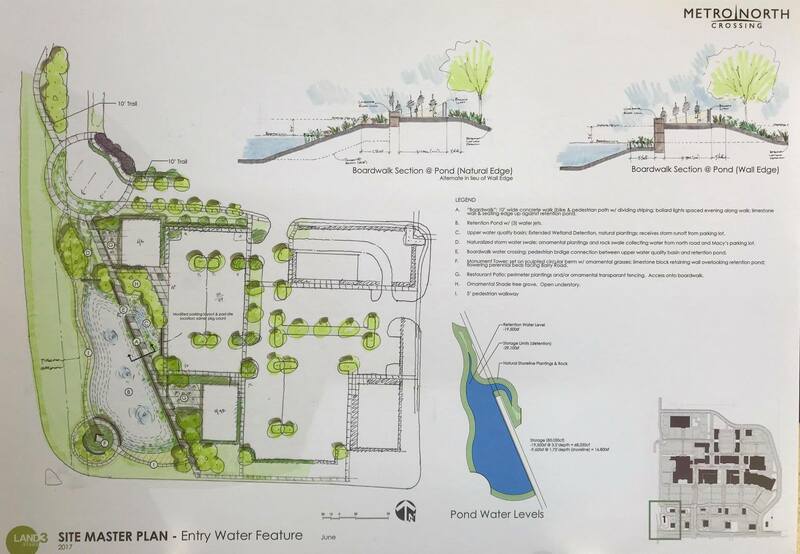 The City needs to make sure that some of the streets around the property need to be connected so that people can easily enter. Finally, the development needs to create real neighborhoods. Without some kind of tenant that is unique to KC and/or to the Northland I just don't see this taking off with all the retail short distance in either direction over at ZR and Liberty. However, once they start building all the houses just NW of there, this area could become a hot commodity. I think the plan was for 10's of thousands of homes. The city recently finished all the infrastructure for the large open areas NW of 152/169. Just for that area Platte County Schools is going to explode, easily quadrupling in size, and NKC Schools will need a fifth high school. If you haven't been along the 152 corridor its on the front end of a housing boom like southern JoCo had. Flying Ember, what's the huge infrastructure project you referenced in your tweet to the Mayor? missingkc wrote: Flying Ember, what's the huge infrastructure project you referenced in your tweet to the Mayor? To achieve that for infrastructure improvements, the mayor called for issuing $100 million in bonds annually over the next 10 years. If the City Council and voters approved, that level of borrowing probably would require a property tax increase. For the owner of a $150,000 house and a $15,000 car, city finance officials estimated those bond issues would cost an estimated $44 in additional taxes annually for each $100 million in bonds issued. So by the end of the 10 years, the annual increase could be more than $400. With that money, the mayor proposed rebuilding depressed neighborhoods, six square blocks at a time, at $10 million to $15 million per project. James also called for rebuilding 10 to 20 miles of roadway each year, at $5 million per mile. The city also would spend $20 million a year rebuilding sidewalks. And it would complete $60 million in needed bridge repairs. Metro North is a good example of an area that could benefit from this. My rough math says the sidewalk work is 2850 homes worth per year. Compare that to today's efforts. 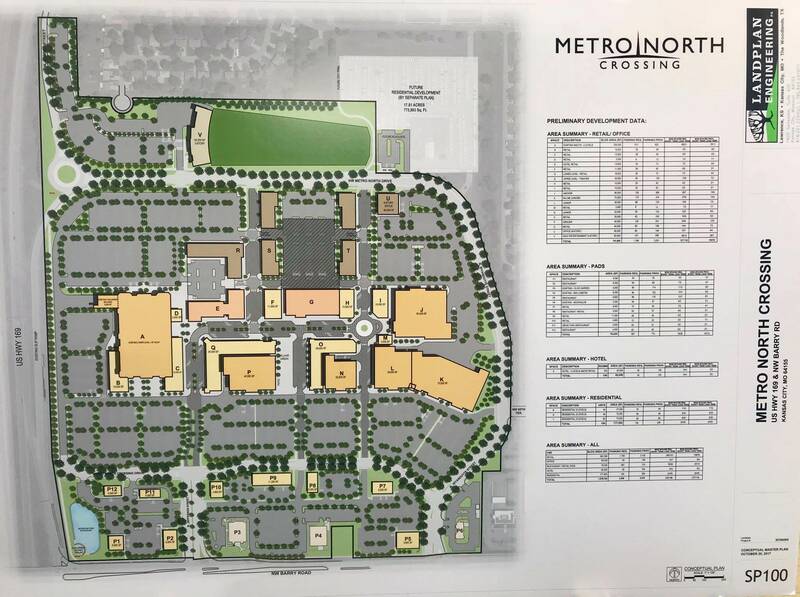 The Metro North area is no east side, but there's a lot of room to build a walkable shopping center. There's crosswalks near bus stops that end at a curb and a lawn. http://www.colliers.com/-/media/images/ ... f?la=en-us G would be Grocery store,W would be Anchor. Is there any update to the status of the project? I have noticed all of the ford vehicles are back in the parking lot. http://www.kshb.com/news/local-news/a-l ... north-mall Theater about to sign up. Pass by it everyday and still isnt being tore down. The news last month said the exterior was going to start being demo'ed in October. Published today in the UK's Daily Mail. A "top golf" type of driving range will be part of the development! dnweava wrote: A "top golf" type of driving range will be part of the development! Is there really a market for two of those so close together? There's already one going in at I-35 & 210. Seems like a bad idea, maybe after the development to the north of Metro Mall takes off it might make more sense. Personally between those two locations, the NKC seems a better fit. They'd pick up a fair sampling of the downtown crowd and then all of the Northland. From Facebook Page "KC Real Estate." Unsure if any of this is new. Exciting news Northland!! 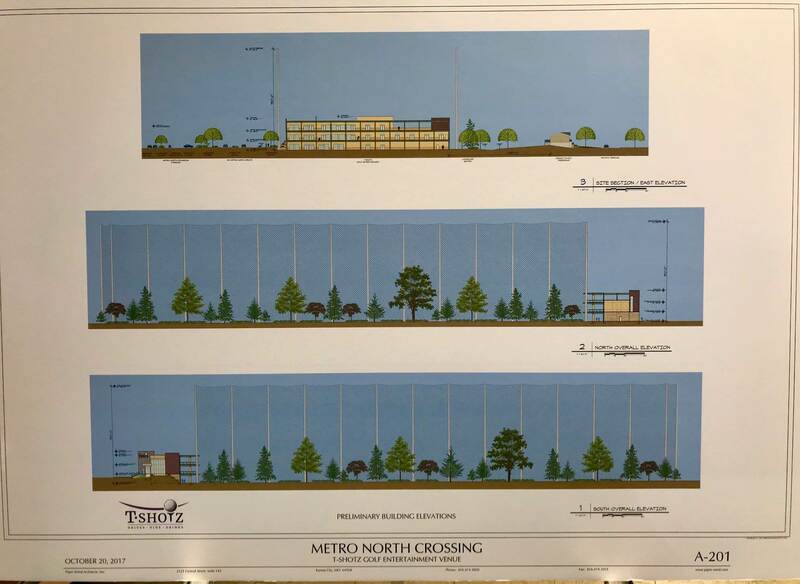 KCRE and our RN North office met with the METRO NORTH CROSSINGS developer and now we can answer a lot of questions about what is happening with the plan for the 106 acre land of the old Metro North Mall! Feel free to comment or ask questions about the development below that we may be able to answer! Sky Golf will come at some point. I can only assume that this will poach some tenants back from Zona Rosa since Zona has a over 40% vacancy rate at the moment. Wouldn't it be funny to see Gap move back? In addition to the work on T-Shotz, he expects to break ground on another part of the project — 249 apartments and 30,000 square feet of retail — in April or May. Horn said the initial attraction to a major entertainment complex like T-Shotz was a combination of market factors, such as more people showing interest in experiences and some retailers being hesitant to establish more brick-and-mortar locations in an age of online shopping. "It became clear to us, the direction to take in the future is more experiential concepts," Horn said. 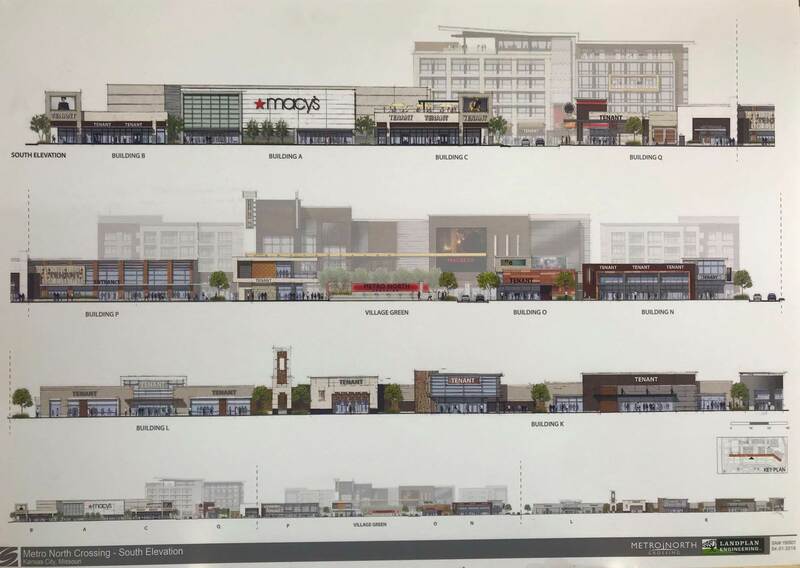 Horn said the developer has letters of intent for about 13,000 square feet of the retail portion but still is looking for interested retailers and expects to be at 100 percent closer to construction.